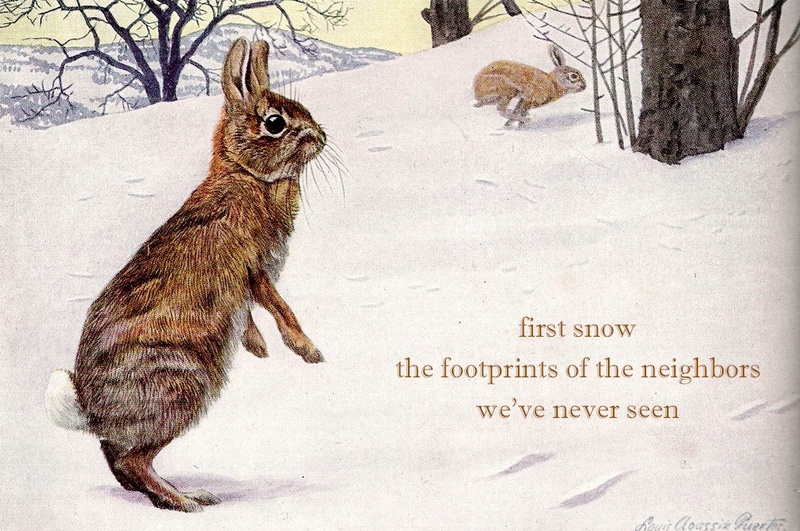 So there’s a calendar that has haiku on it. Maybe there’s more than one. The one I know about is published by Snapshot Press and you can find out about it here. It looks really cool but I haven’t actually seen it yet. I plan to order one or two soon though because it contains this haiku of mine. I’ve posted it here before but what the heck. The first snow will probably be showing up sometime soon around here, so it’s timely. Also, I wanted to let you know about the whole calendar thing well in advance of Christmas so you can order some for all the people you normally give fruitcake to. In the interests of world peace and all that. I can’t wait to see this one, I have the whole collection since it started. quite an accomplishment. Good for you! Love the unexpected choice of illustration! Congratulations. Drawn by the picture and smiling from the haiku.